This week I was going to reflect on what I learned about freezing from the book I am cooking my way through, The Make Ahead Vegan, but then life happened. Three people of varying importance in my life passed over and I, once again, found myself in this state of grief. I once again found myself wondering if meditations of my heart and my work in this world was making a difference. So I did what I normally do and then the signs began to pop up as they tend to do when I need them the most. Yet despite those signs I did not feel motivated to write about food. I wasn’t really feeling motivated to even cook food this week. It was just one of those weeks where I wondered how I could make eating plant based food feel junky and comforting. I haven’t been successful at that either. The the universe heard and answered my prayers in the form of the following random Facebook message from a woman and an organization I had never heard of. Hi, Sharon--I found your blog when I was seeking inspirational words about how food is a global language. I am one of two founders of a non-profit in Austin, Texas, that is dedicated to help refugee women use their amazing cooking skills and heritage to earn money and integrate into our community. One of the things we do is host dinners--people buy tickets to come and eat food from Syria, Iraq, Afghanistan, etc., and meet these women, etc. We're about to do one with Chefugees from Syria and Iraq, and I would love to include the passage below on the inside of our printed menus (there will be one at each guest's place). Normally when I get a new cookbook I start with the introduction, but I was in a hurry to get the menu planned for this past week and the grocery list done. Zoe and I picked two recipes from the section on Hearty Meals and took off running. I plugged them in the menu plan, into the grocery list and jumped into making them, never thinking twice again about the introduction, which I am reading now. One of the things which attracted us to this book was that it looked like everyday food, which was one of the authors goals. What we decided I would make for us this week was the Rigatoni and Vegan Sausage Casserole and Pasta Chili Bake. One of the things I appreciated was that she shared information about storage times for both the refrigerator and freezer, not that ours will ever make it to the freezer. However, one of the things that I realized was that while these recipes were going to be exactly the kind of food that Zoe loves, they were not going to push or challenge me in the kitchen or help me introduce Zoe to new and different foods. Although it is going to help both of us develop a new relationship with lentils. This morning was my first attempt to make vegan cream cheese. Zoe has been pretty happy with my getting Tofutti from the grocery store. The last three trips, however, they have been out of Tofutti. So we have tried another brand, but it did not meet Zoe’s desire for bagels and cream cheese for breakfast, her favorite. Last night, they were out of Tofutti again, so I decided I would try to make vegan cream cheese, something I had read was pretty easy to do. Yes and no. Last night, I did as everyone suggested, well almost everyone, and I soaked my cashews over night. This morning they were uber soft and I could tell it would be fairly easy to blend them in my blender. So I began. I followed the direction that had the highest rating which had me add 1 tsp organic apple cider, 3 tablespoons lemon juice and a pinch of salt. I was supposed to add 1 tsp of water at a time to help it blend, but I thought I would add cashew milk instead as needed. So the first tasting with Zoe and she thought it was not creamy enough. So I had it blend several more minutes. It was creamy enough for her, but I could tell by her face it was not cream cheesy enough to please her palette. Other then it not being Tofutti, it did not taste fatty enough. So back to the cookbooks. Several years ago, well four to be exact, I was in the process of reading the book Julie and Julia. It was about Julie Powell’s efforts to cook her way through Julia Child’s book “Mastering the Art of French Cooking.” My goal at the time was to cook my way through the newly released cookbook by Alex Guarnaschelli. That did not go so well for a number of reasons. This morning I was reminded it was Julia Child Birthday and it got me thinking how fun it would be to pick a Vegan cookbook and work my way through it. Unlike most people, I do not read cookbooks for the recipes. I read them for the wisdom and the spiritual lessons they offer. So now I am reviewing a list of vegan cookbooks. Not sure which one I will choose yet. If you have a recommendation from the list below, please share your comments or if you know of one I should definitely consider let me know about that cookbook as well. Unlike Julia Powell, I am not setting a time limit, although my kitchen is not much better than the one she appeared to have in the movie. So what will I learn? Perhaps I will learn lessons about timelessness, senses, simplicity, integrity, adventure, and technique. Time will only tell. I almost missed this, but August is National Peach Month. I have always loved peaches, but now I have a greater understanding of why. Both in China and Japan the peach is associated with immortality and a long life. It is one of the “Three Blessed Fruits” in Buddhism and symbolizes longevity, so eating peaches may help me live longer. That is just one reason I love peaches now. However, having lived in Georgia for several years, I came to love the state fruit. There is nothing like a good Georgia peach. I used to love making peach pies, but hated peeling peaches until I discovered the Pampered Chef serrated peeler, which makes peeling peaches so easy. This week I thought I would share a few of my favorite Pampered Chef peach recipes and a few of my new favorite vegan peach recipes. Let me know which ones are your favorites. It's been a slow journey, but like with anything we do, when we decide to do it, we just do it. So the past few days we have eaten as much of what we had that needed to be gotten rid of. July is National Picnic Month. It is a month to celebrate and share time with family and friends. As I goofed around to see if I could find any spiritual writings about God and Picnics, I stumbled upon this song called God Shuffled His Feet by Crash Test Dummies. Created blankets and laid back in the shade. What if God’s idea of honoring the Sabbath was to gather together with loved ones and have a picnic. What if we took a day each week, month, or year, to rest and gather with friends to picnic with wine and bread. 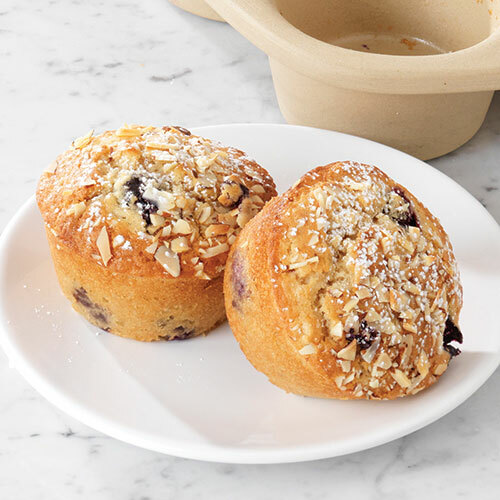 I woke up this morning to realize that yesterday was National Pick a Blueberry Day and so not surprisingly, today is National Blueberry Muffin day. While I like blueberries, they take fourth place in my list of berry favorites (raspberry, blackberry, strawberry and then blueberry. Yet my favorite way to eat them has always been in muffins. What I have found fascinating about blueberries is the various spiritual and medicinal uses and meanings. For example, blueberries contain anthocyanin, which is good for eyesight and they contain significant quantities of both antibacterial and antiviral compounds and have a reputation in northern Europe of fighting infections. They may also help protect against heart disease. Native Americans believed that the five-pointed start on the top of the berry was a sign that they were sent by the Great Spirit to feed children and never allow them to go hungry. Every season of the year is filled with opportunities to gather with friends and share a meal. This is true across the world. Summer is filled with opportunities to gather and barbecue. The fourth of July, in the US, is the most popular holiday for barbecuing followed by Memorial and Labor days. Barbecuing is one of those ways of cooking which transcend social and political classes. There is a history of barbecuing at the White House for example, since Thomas Jefferson. Each President has had their own favorite. For example, Lyndon B Johnson was a lover of Texas style barbecued ribs. The most popular flavors of barbecue sauce are hickory, mesquite, honey and spicy hot. While making plans for these holiday get togethers one is probably thinking most about who to invite, what proteins to make and what beverage and vegetable to pair with them. Rarely, do we think about how spiritually rich these gatherings are. In South Africa, for example, these gatherings are braai and they are more then just a chance to gather and barbecue, they are just to celebrate cultural and spiritual traditions. Gathering with others is about more than cooking and creating memories. It is about honoring the feast, the friends, and the ways foods and wines pair up with each other. It’s about understanding how these pairings brings out the best in conversation and camaraderie for those gathered. There is a richening of community when we gather and share a meal together. This time of year, well anytime of year, I enjoy sipping on a cup of tea. On those cold days, I love sipping on a hot cup of tea and feeling the heat from the cup warm me up inside and out. During the summer, however, I look forward to a tall cup of iced tea. Maybe that is why June was chosen as National Iced Tea Month. A friend of mine once told me that iced tea was created by accident at the 1904 St Louis World’s Fair. It seems a vendor was trying to sell hot tea on a hot day. People wanted something cool, not hot, so he iced it down and it became a hit. Other food scholars suggest that people were writing about iced tea in cookbooks dating back to 1842. Regardless of how it came to be, it is now something people around the world enjoy drinking on hot summer days. It has been a few years since I have written about fondue, but given that this is National Fondue month, it is a good time to reflect on Fondue again. Fondue is one of those foods which has varied in its popularity over time. However, in some cultures, like Switzerland, fondue is a sacred food. For one very simple reason. 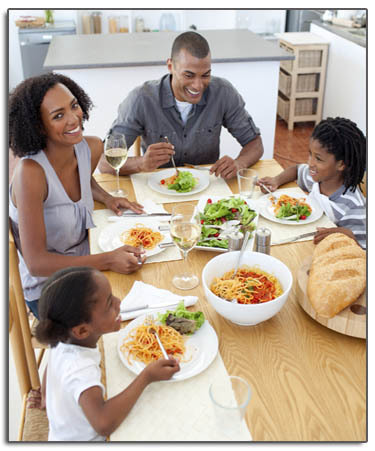 It is a meal you can share with people you love. There are some spiritual values in fondue, which are difficult to find in other types of meals. Fondue is about more than people gathering around a table to share a meal. Fondue is a communal dish. Each and every person gathered around the table is connecting with each other every time they dip something into the fondue pot. It is not so important what is in the fondue pot. It can be cheese, chocolate, or some other form of awesomeness. Nor does it matter what one is dipping into the fondue pot. It could be cheese, berries, or some other delicious dipper. It is the process of sharing a pool into which we all enter and engage. Eating fondue reminds us to slow down and appreciate time with each other. Especially in this season, we are busy. Eating fondue is a time to sit down, share a homemade meal, sit, talk, and share an experience. Eating fondue allows us to share food and conversation with those we love. This has been a fast-paced and hectic week for me. I was having a hard time quieting my brain enough to get inspired. I was torn between reflecting on an ingredient or a product. This morning, I woke up to a reminder on Facebook of a blog I wrote three years ago today. As I reread it, I laughed as it fits perfectly with our spiritual practice this month -- you. I took this as a sign to share my thoughts again. It has been a while since I posted here, while I have been resting, healing, and preparing for the next round of surgery. However, I was reminded of something last night that resonated with my soul and that is in all things to do you. I was watching a special episode of Chopped (no surprise to those who read this blog often) and Katie Lee, one of the competitors, was surprised that she won. In reflecting on it, she talked about how she thought she had won because she had stayed true to who she was. Katie is best known for her comfort foods and that is what she cooked all three courses, foods filled with memories of growing up and cooking with her grandmother and mother. She gave the judges her on a plate. Today is National Cranberry Day. Most folks I know do not LOVE cranberries. However, perhaps we should. Not just around Thanksgiving, but year round. Cranberries have a history, which stems back to Native American folklore of preventing illness. Modern medicine has shown that cranberries can help prevent urinary tract infections, gum disease, cancer, and numerous other illnesses. They are not a treatment for, but a source which can help prevent. Yet, most people are not craving to sit down and eat a bowl of cranberries because of their bitter taste. Most of our consumption of them comes around the Thanksgiving season. This year as we gather with family and friends and give thanks, perhaps we should give thanks for this bitter, bright red berry. And the diversity of ways cranberries, as well as other berries, are full of health-promoting antioxidants. We all know that the end of this month is Thanksgiving, but how many of you know that this month is National Peanut Butter Month. So this week I am paying homage to Peanut Butter. I love peanut butter for a few reasons. One being that it has taught me some amazing life lessons. A friend of mine tells the story of how much he hates peanut butter, but would make peanut butter and jelly sandwiches for his daughters who loved them. One day he realized that he was imposing his disdain for peanut butter on his daughter without even realizing it. He realized it when his daughter complained that he put too much jelly, which he loved, and not enough peanut butter on her sandwich. He was so focused on what he loved that he was not thinking about what she enjoyed and what spoke to her. To this day he still hates peanut butter, but puts more peanut butter on his daughter’s sandwiches and less jelly, which she enjoys, but not as much as the peanut butter. His story reminds me of how easy it is to put our needs and desires over others. So today is National Chocolate Cupcake Day. Well it was when I started writing this on Wednesday (LOL). I love blogging and sometimes the words seem to just flow from my brain faster than I can type them. Other times, I start and delete and start and delete, never quite satisfied with the ideas for my blog post. Sometimes it helps for me to go sit in our prayer and meditation garden, as a change of scenery sometimes helps. Other times, I will go fix myself a cup of tea or coffee. None of that was really working this week, until I did a search on the Pampered Chef website for chocolate cupcakes because Wednesday was National Chocolate Cupcake Day. What really spoke to me were three recipes one for a white chocolate cupcake with truffle filling, one for a red velvet cupcake, and one for a dark chocolate truffle cupcake. I have made the white chocolate and dark chocolate recipes a few times because I love how messy they are to eat. I love the melted chocolate that seeps out. It was these images of “chocolate” which spoke to my soul, especially as a light skinned biracial woman. When I was pastoring, a few congregants would remind me that they were chocolate. I would then smile and remind them that chocolate comes in a wide diversity of colors. I remember once being told I was not chocolate enough to be chocolate and that white chocolate is not chocolate. Interestingly enough there is a similar debate about whether or not white chocolate, which is made from the same cocoa butter as all other chocolates, is really chocolate. When we think about tacos, we think about something to eat. My guess is nobody thinks about it the way it was first used in the 18th century when it was the paper which was wrapped around gunpowder for small explosives. It wasn’t about an explosion of tastes in one’s mouth, but about helping to create explosions in the mines. As I have been thinking about tacos, I have come to realize that tacos are a great way of thinking about people’s spiritual journeys. We are all on one, even if one sees themselves as their Higher Power. We are all on a journey, it is just about how we construct one. Some need the harder structure that comes with some religious traditions while others like the flexibility that comes with other spiritual beliefs. No recipes this week. I was talking to a friend of mine, trying to quiet my mind so I could hear what I was supposed to blog about. There have been days that my life has felt like a hot dish in a microwave, as I have tried to get through a rapidly increasing number of projects and tasks in a very short amount of time. Sometimes managing your life can look much simpler then it is. As a friend of mine said this morning, “I cannot explain how hard it is to get a hot bowl over of the microwave. One day, I swear, I’m going to drop one.” We all have those phases in our life when what should be a simple thing, tend to become complicated, because our “dish” has become overheated with demands.